Legislators hold a hearing on the death penalty bill. A bill that would reinstate the death penalty in Iowa has cleared initial review in the Iowa House, but it’s future is in doubt after the legislator assigned to guide the bill through debate says he’s a “no” if it comes up for a vote in committee. Representative Steven Holt, a Republican from Denison, said “conceptually and morally,” he believes the death penalty is appropriate for certain horrific crimes. Holt said he’s also struck by how many individuals have been wrongfully convicted and sentenced to death row. Holt said administering the death penalty fairly was something he struggled with the most. Holt’s announcement came at the conclusion of a statehouse hearing on a bill that would allow capital punishment. The first to testify was John Wolfe of Clinton, the father of State Representative Mary Wolfe. Two of his daughters who lived in Pittsburg were murdered four years ago and the man found guilty of the crime was sentenced to life in prison. Many who testified were pastors. Dave Martin of the Faith Assembly of God Church in Marshalltown expressed support for the death penalty in rare circumstance. 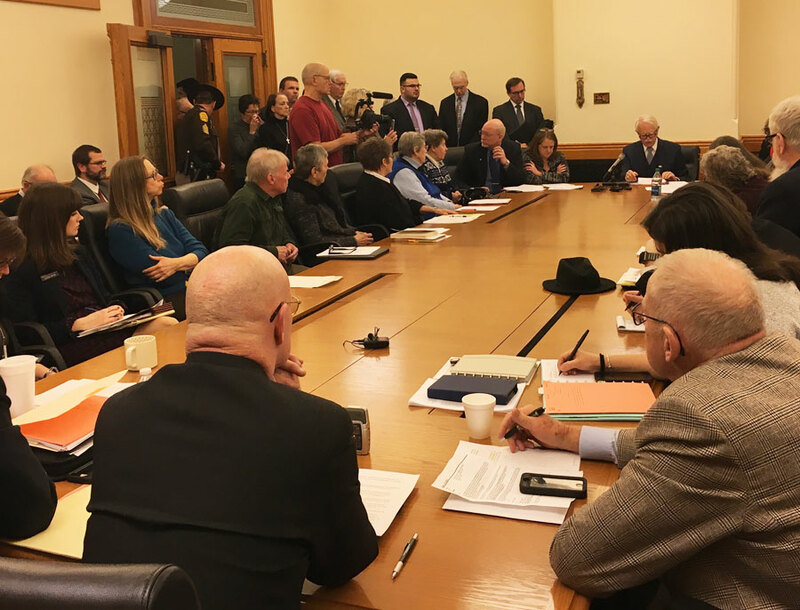 Reverend David Sickelka, senior pastor at the United Church of Christ in Urbandale, spoke against the bill on behalf of the Interfaith Alliance of Iowa. The Interfaith Alliance submitted a letter signed by 176 Iowa clergy who oppose the death.